VocalSynth 2 is a plugin that allows you to elevate your vocal track from great to epic. Containing a suite of synthesizer-based modules and otherworldly sounds, the plugin allows you to craft the unique sound for your vocals that you’ve been searching for. 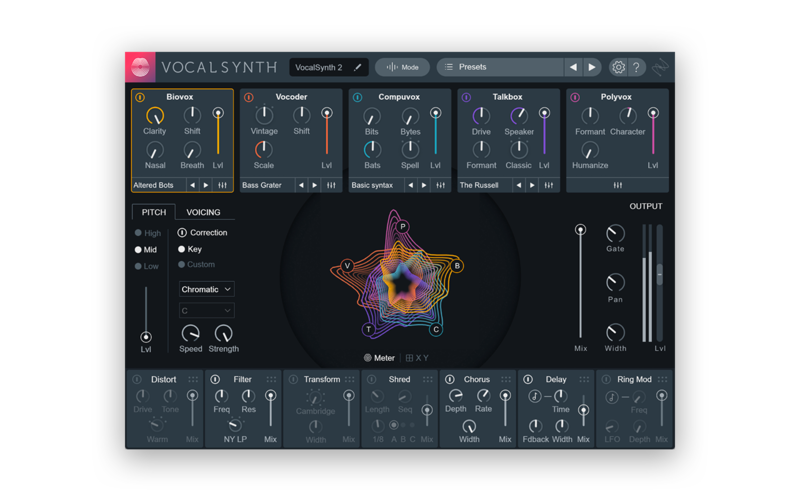 VocalSynth 2 is iZotope’s brand-new successor to VocalSynth, and showcases an improved UI and a host of additional features. This feature guide will overview some of the essential components of VocalSynth 2 that you’ll want to be aware of to get the most out of the powerful plugin. Auto Mode relies on pitch detection and internal synthesizers to generate notes, allowing you to simply insert the plugin on an audio track and hit play. MIDI Mode lets you play harmonies into VocalSynth 2 by adding the plugin to a software instrument and sidechaining a vocal. Sidechain Mode can be used to route non-traditional audio sources (guitars, synthesizers, etc) to the sidechain input of VocalSynth 2, turning any sound imaginable into a vocal effect. 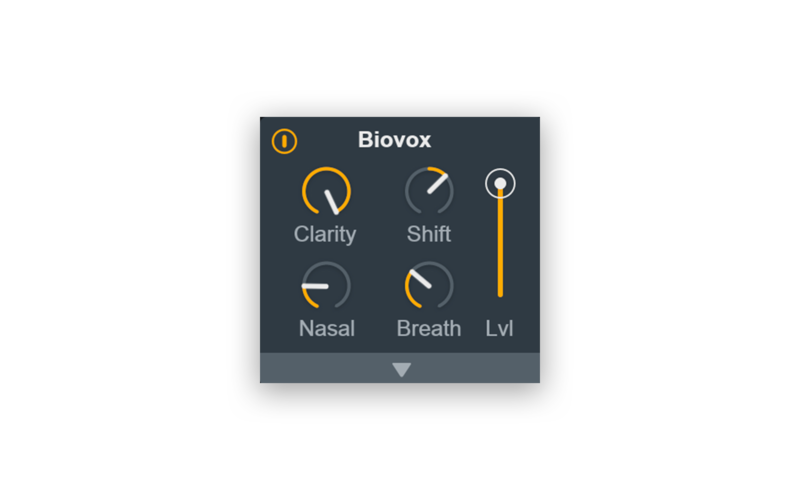 Directly below the Mode button lies five synthesis modules that are the essential tools for creating your sound: Biovox, Vocoder, Compuvox, Talkbox, and Polyvox, each with its own controls and characteristics. At the center is the anemone, an animation that reacts in real-time as you bring in new modules. This anemone isn’t just a pretty visualizer – it’s also interactive, allowing you to adjust the slider icons for each module to create the perfect blend. Pitch and Voicing control panels located to the left of the animation allow for key-based pitch correction and voice synthesis. Lastly, at the bottom of the interface there’s an effects chain, which lets you manipulate your signal using various effects to create a wide range of sounds. Now that we have a high-level understanding of the major components in VocalSynth 2, let’s explore some of these features in greater detail. 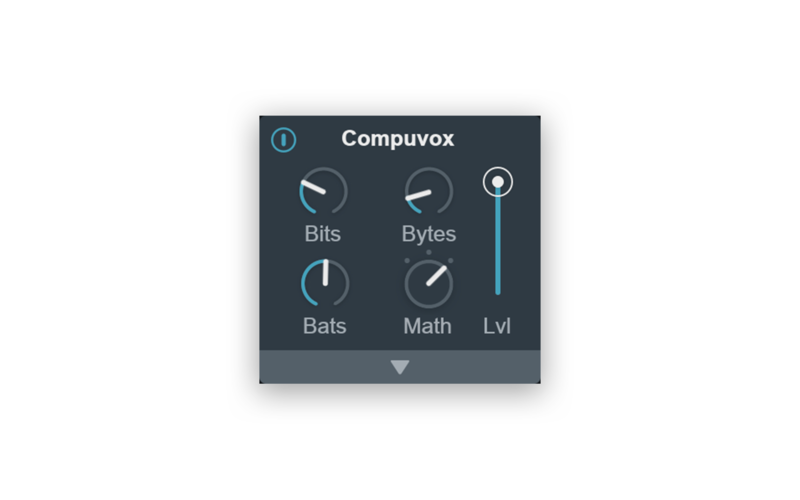 Biovox, Vocoder, Compuvox, Talkbox, and Polyvox are the five modules that are responsible for creating the unique timbres of VocalSynth 2. Each has a regular view containing essential controls as well as an Advanced View that can be accessed by clicking on the arrow tab at the bottom of the module’s panel. Let’s take a look at the parameters in the regular view of each module to get a broad understanding of its sonic signature. Clarity controls the balance between the synth signal and vocal intelligibility. Shift alters the vocal tract length to shift the formants of the processed vocal higher or deeper, spanning chipmunk-like sounds to monster-like sounds. Nasal changes properties related to the soft palate to introduce a more nasal quality in the processed vocal. Breath mixes in a breathy, whisper-like character to the vocal. The Mode can be toggled between Smooth, Vintage, and Hard, with each having a different number of frequency bands and spacing characteristics. Shift alters the amount of frequency shift applied to each vocoder frequency band, affecting the overall brightness. Scale determines how quickly the vocoder responds to changing vowel sounds. Higher values will increase articulation, whereas lower values might sacrifice intelligibility for a softer, pad-like result. Bits adds digital aliasing noise to the signal. Use it gently to add a compelling inharmonic quality to your vocals, or crank the dial to reduce your audio to digital chaos. 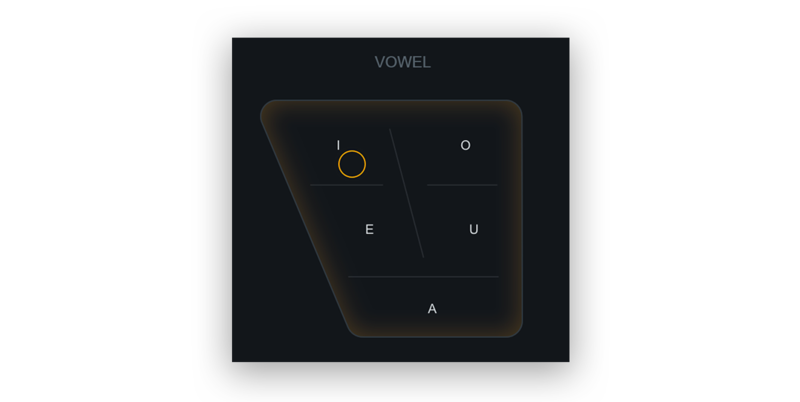 Bytes artificially prolongs vowel sounds, creating distinctly non-human yet musically useful effects. Bats increases noise and vocal gravel for a sound that resembles the voice of a very certain winged-animal-man. The Mode can be toggled between Spell, Read, and Math, which each represent different flavors of LPC processing. 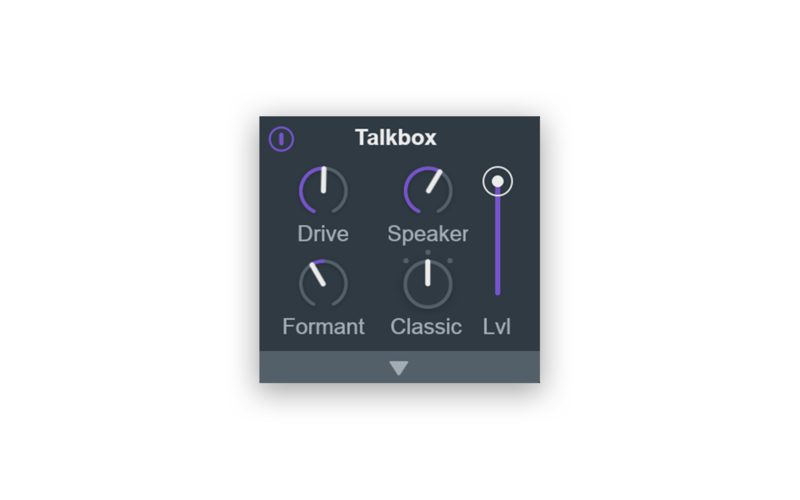 Drive boosts the input gain into Talkbox, with higher values adding a crunchy distortion to the vocals. Speaker controls the amount of talkbox convolution. Formant adjusts the amount of formant shift applied to the signal. The Mode can be toggled between Dark, Classic, and Bright, with each influencing the high frequency response. Formant, as in Talkbox, transposes the vocal formants of the signal. Character determines the relationship between the incoming vocal’s formant envelopes and how they’re applied to the outgoing sound. Humanize varies time and pitch values, and can be used to enhance realism or reduce phase cancellation. While the synthesis modules are responsible for crafting the timbre, the Pitch and Voicing control panels allow you to set pitch detection and correction parameters, dry voice gain, and synth voice parameters. You can easily toggle between the two by clicking on their respective tabs. 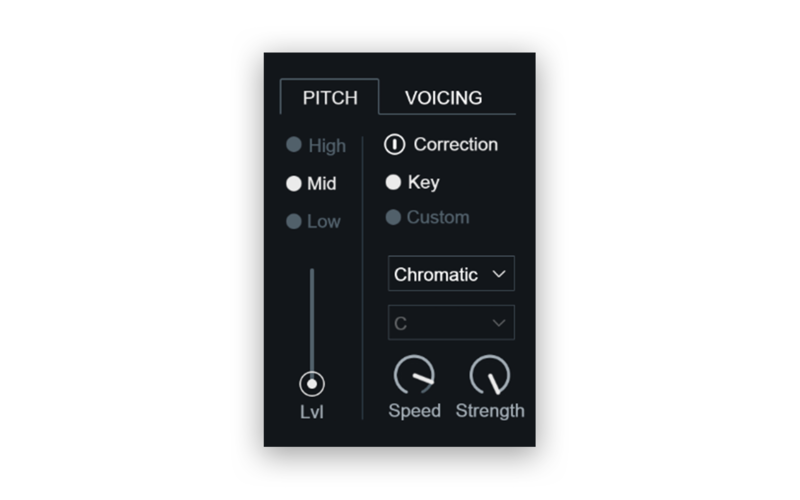 The Pitch control panel lets you identify a predefined or custom Scale Type and Key, while the Voicing control panel offers options for Mono / Poly modes, Interval distance between generated auto voices, and more. Pro Tip: The Glide parameter in the Voicing control panel is a hidden gem, allowing you to adjust the portamento speed when transitioning from one note to another in Mono mode. The effects chain at the bottom of the GUI allows you to add distortion, filter, transform, shred, chorus, delay, and ring modulation effects to your sound. Each effect’s position in the chain can be freely rearranged by clicking and dragging the dots above the mix slider in any effect panel. While most of the effects available are quite common, the shred effect is one that’s unique to VocalSynth 2 – the effect takes chunks of audio and repeats them at a user-defined rate, allowing for cool stutter and glitch effects. Create several aux tracks and route your vocals to them. Insert an instance of VocalSynth 2 on each aux track. Craft unique sounds using VocalSynth 2 and title each instance something that’s easy to remember. Insert the Visual Mixer on any track and open it. All of the copies of VocalSynth 2 will show up in the Visual Mixer in pink, and your robot chorus can now be mixed effortlessly – iZotope plugins are absolutely powerful and viable on their own, but their full potential is realized when they’re used in conjunction with one another. This concludes our tour of VocalSynth 2’s main features! 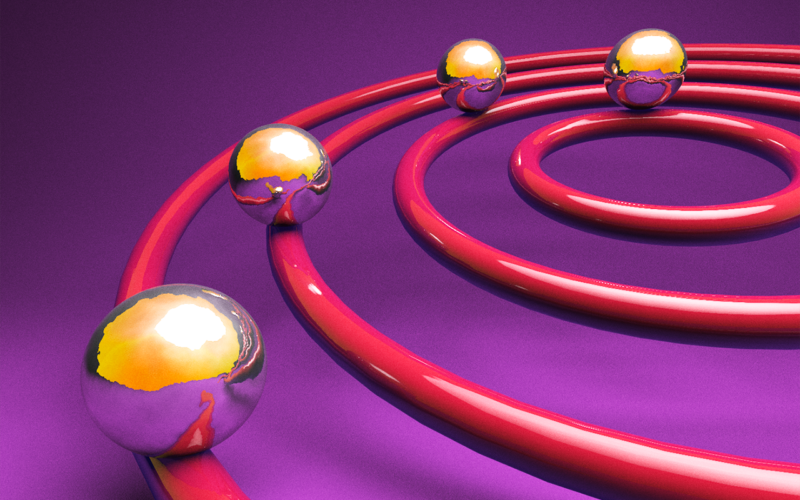 There’s plenty more to explore with the plugin such as presets, different view modes, advanced controls, and more, but hopefully this guide gives you a solid foundation to get started. If you have a question, leave it in the comments below.